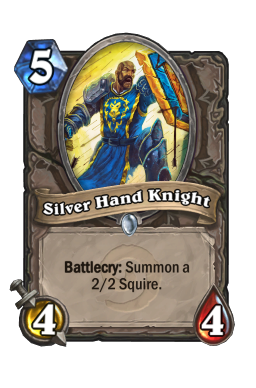 This is the ninth part of the Free to Play Journeyman Hearthstone Guide Series. Be sure to check out the other articles in the series here: Part 1, Part 2, Part 3, Part 4, Part 5, Part 6, Part 7 and Part 8. The flickering light casts dancing and occasionally ominous shadows across the rock ceiling of the long forgotten cave. You pay them no heed as you bow your head over the torn and weathered parchment, brow furrowed as you decipher the ancient writing. A map, but not just any map. A guide. Many have travelled this way, some of whom even had this very item in their grasp, and yet they either returned empty-handed or returned not at all. The signs are obvious; avoid the traps, cross the naturally formed stone bridge, through the dense vines, and the destination lies before you. Something must be wrong for such simple instructions to fail so many. 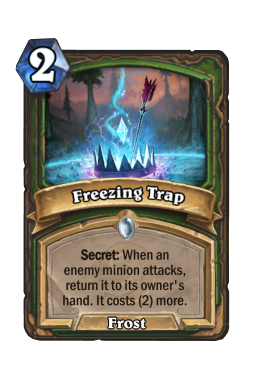 Unless they also thought it was a trap, of course. Unless they decided the more obviously dangerous routes might not be so treacherous after all. It takes courage to do what others have not done, even moreso when it requires faith in one's own, unproven judgement. What if you're wrong? What if only despair awaits? Your mind clears. Travelling this way was always likely to end in despair. So many have tried and failed, why should you expect a different outcome? Free of doubt, you roll up the parchment and return it to your pack. Deep breath. And go... Um? So that was easy. 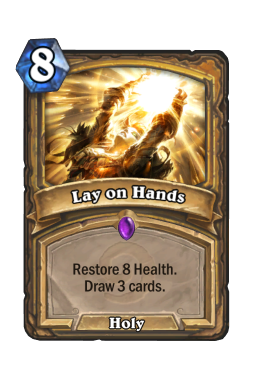 Throughout this series I have stressed the importance of spending dust only on Legendary minions. 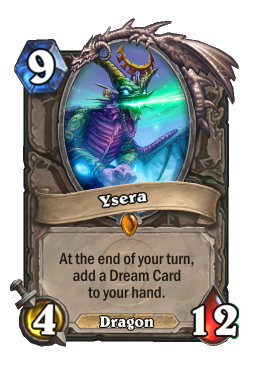 Common perception is that if one spends significant dust crafting cards of lesser rarity, these cards will inevitably be opened in packs and can only be disenchanted for much less dust than was spent crafting them. 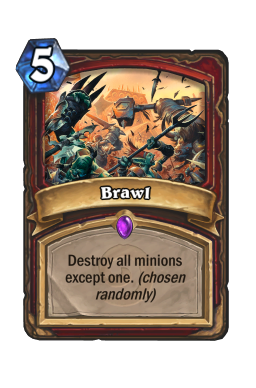 Given that dust is difficult to accumulate unless one averages at least 5 wins per arena run or if one has the time to maximise the 10g per 3 wins quest (which can be completed at most 10 times each day), this waste comes back to haunt one. There is nothing false about this perception whatsoever. The facts there are absolutely true. 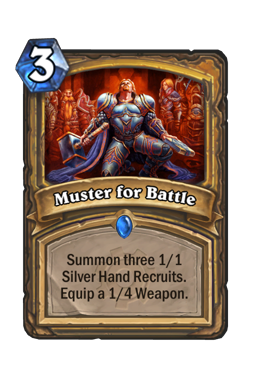 But what they do not account for is a) how often such dust actually proves to be wasted in the long term, and b) how much faster one can earn dust with the cards so "hastily" crafted. I know what it is like to be slapped down hard by the pack RNG. 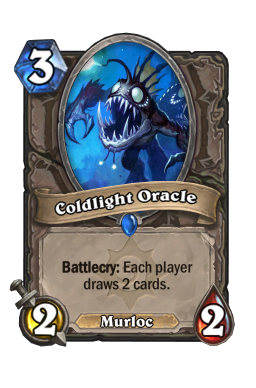 On my EU account I spent the first two months disenchanting every spare card to build up a set of core rares, especially neutral ones, in order to play decent decks in every class. 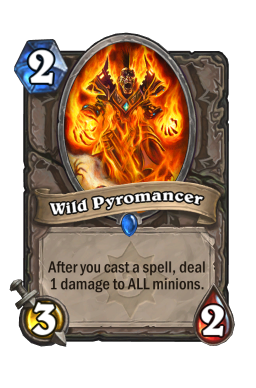 The week I spent 200 dust to craft a playset of Wild Pyromancer I subsequently opened 3 more. Rather than gaining 20 dust, I had spent 140; that's another rare and a common and a half of choice overall (160 dust total difference). But you know what? That was as bad as it got. 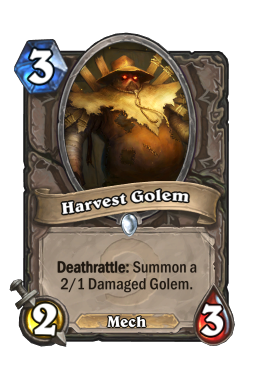 While it is true that I "wasted" somewhere in the region of 500 dust accumulating my collection (I no longer purchase Classic packs with that account, btw, so 500 is the maximum loss), some of which actually came back when I opened golden versions of cards I'd crafted (for instance the golden Doomguard I got from my Tavern Brawl pack this week), the truth is that 500 dust really isn't very much in the grand scheme of things. I've spent so much time avoiding crafting rares I know I need on my Free-Play US account, that perhaps I've stunted the growth of my collection in other ways. 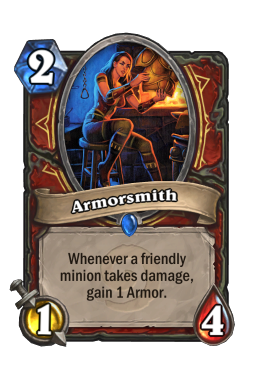 This season I finally took the decision I knew needed taking: craft the cards I will need to craft in the Goblins vs Gnomes (GvG) set because I'm not going to open packs from that set by choice. Or at least, craft the significant ones. 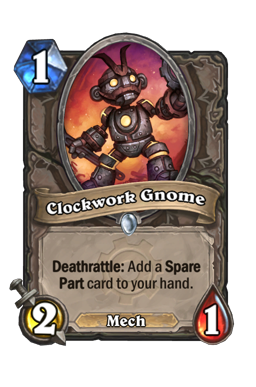 I disenchanted a fair number of the commons and a few rares from the list I presented last time to accumulate 400 dust, and together with some dust on hand I crafted the following: Unstable Portal , Clockwork Gnome , Antique Healbot , 2 Glaivezooka , 2 Shielded Minibot , and 2 Piloted Shredder . 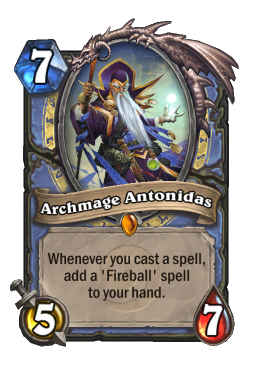 Sadly, the Portals, Gnome and Healbot did not elevate my Mage deck into anything particularly useful despite owning Archmage Antonidas , but I gained a proper appreciation of how important Flamewaker is to the class, and therefore raises the question of when rather than whether to save money for the Blackrock Mountain adventure. 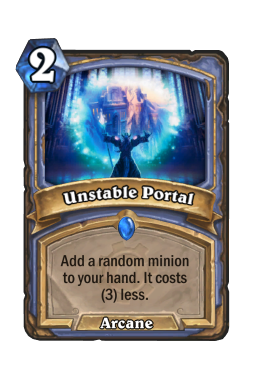 Besides, I will always play the Portal in Mage, and the healbot is infinitely useful, so even if I never use the Gnome again, so what? 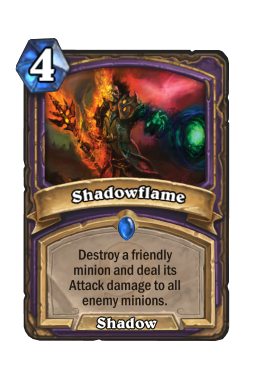 40 dust is a small price to pay for the insights gained by actually trying to build an Antonidas deck. And besides, the Shredders alone made all the difference between my regular rank 13 and the season high shown in the screenshot above: rank 10 with 2 stars, which is my best rank to date on this account. At rank 10 one earns 40 dust more from the end of season chest compared with rank 13 as there is an extra golden common but 10 less dust; perhaps I should have done this earlier? As the title says, surely not? How can one card make so much difference? In truth it's not just about the Shredders, but rather in how the Shredders make a deck built around them punch well above its weight; the sum of the parts becomes greater than the whole. 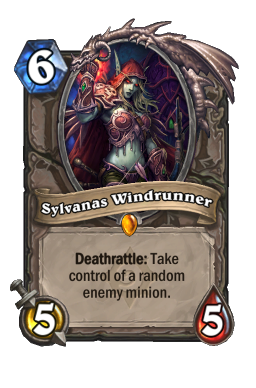 Let us consider the deck highlighted in the screenshot above: Deathrattle Shaman. 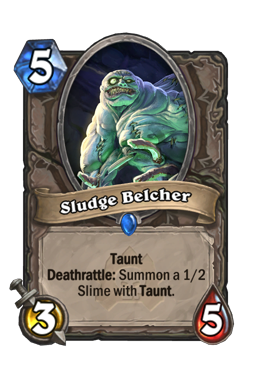 If you'll pardon the pun, there's an overload of strong minions with deathrattle effects in the list, but previously without the Shredders I relied on Sludge Belcher . 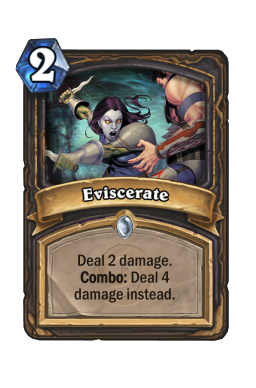 Not only is the card a turn slower with less aggressive stats and secondary minion than the Shredder, sometimes one holds the Belcher even when drawn on curve because the opponent has not sufficiently developed his board that one requires a taunt at the time. 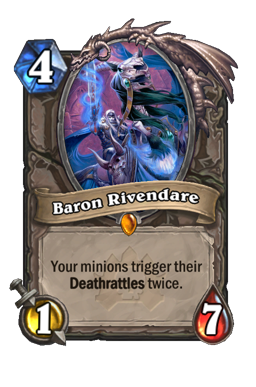 Rather not give the opponent the chance to silence or kill it just because he has nothing better to do. 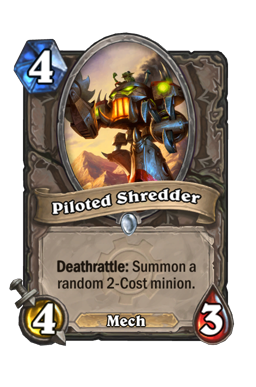 Whereas the Shredder is probably the deck's strongest turn 3 play with the Coin; a significant improvement in tempo, especially when followed with Baron Rivendare and a double trigger the following turn. It's only that single playset of cards different from the previous deck, which was already decent, but in 9 games with the deck I lost only 1 in the mid-teens ranks - enough to complete 2 daily quests with the minimum of fuss, which is exactly what my busy family life needs. 80 dust to reduce my playtime by between 2 and 3 games to achieve the same result? Worth every ounce of the stuff... 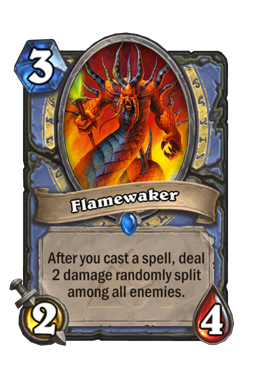 It's quite remarkable how a simple change to a deck's composition makes it play like a completely different deck. 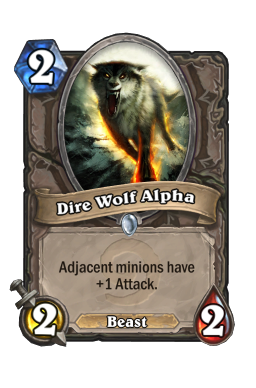 The change in tempo mentioned above aside, the difference between a largely defensive creature and a more aggressive one changes the player's mindset as well. No longer are we going to wait to see how the opponent develops his board in order to calculate the best way to improve trades, instead we are going to attack the opponent's position and force him to make poor trades. No longer are we going to wait to see how to react to the opponent's strategy, instead we are going to dictate the game's strategy and will win if the opponent cannot impose himself on the game. There is a saying core to the principles of the ancient Chinese martial art of Xing Yi Quan, that "When the opponent attacks, attack, and when the opponent waits, attack". In this way you dominate the fight, and fights are most often won by the more dominant fighter. 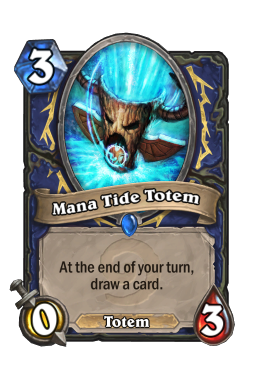 While this Shaman deck is not a "face" deck it takes the board aggressively, and that is often enough to secure victory. 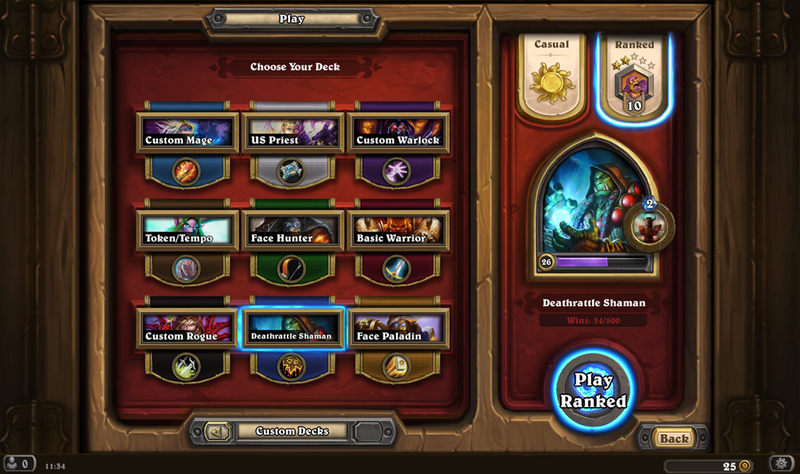 But reaching rank 10 was not down to Shredders or Shaman alone, of course. 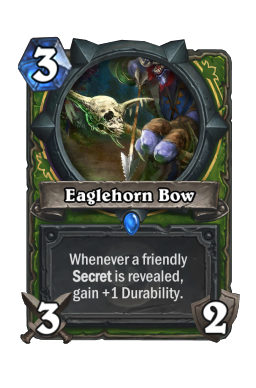 The cornerstone of the win streaks was my new and improved Hunter deck. Previously I had never managed better than a win ratio of about 40% with whatever strategy I tried; without key cards like Knife Juggler and especially Eaglehorn Bow I simply had no price. But this season I suddenly got the card balance right. 10-1, the loss being a rare bad draw, does wonders for one's ranking when starting already on a win streak. 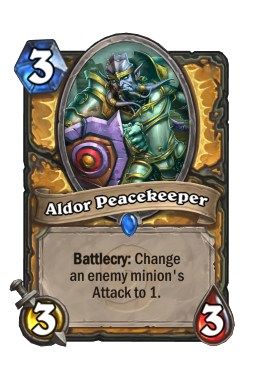 I will admit to being lucky that the change in the environment post-Patron Warrior hurt Face Hunter's traditional foils, especially Priest, to the extent that I largely played against decks that were good match ups anyway. 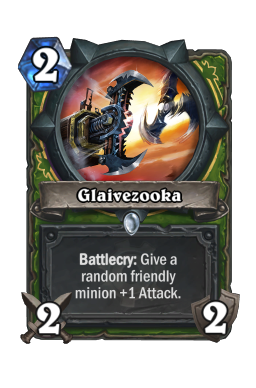 But like the addition of Shredders to my Shaman deck, bringing in Glaivezooka was instrumental to this deck's success. 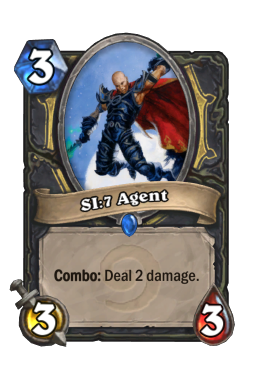 With weapons at its disposal the Hunter can attack on all fronts, maximising the use of simply going to face with its minions while controlling the board with other means - a more aggressive and deadly Rogue, in a way. 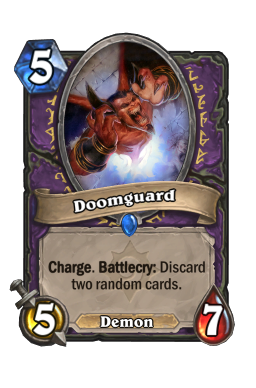 Like all Face decks, although fairly simple to play one must on occasion spend one or two moments controlling the board with minions as necessary. 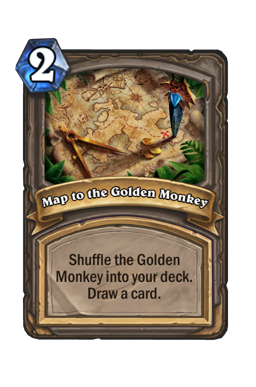 The decision of when this must happen is crucial to success, and fortunately I have quite a lot of experience playing this style of deck as my initial journey with my EU account revolved entirely around playing Zoo decks with both Hunter and Warlock. 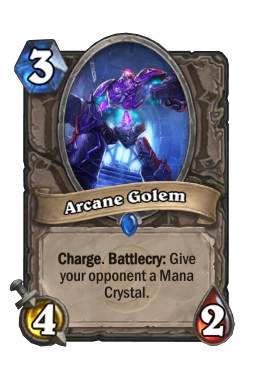 Since I still do not own Knife Jugglers or Eaglehorn Bows I can't go "full aggro" by omitting the Shredders and running a second Arcane Golem , even though I actually own the card and it looks at me with puppy eyes each time I page past it in the collection browser. 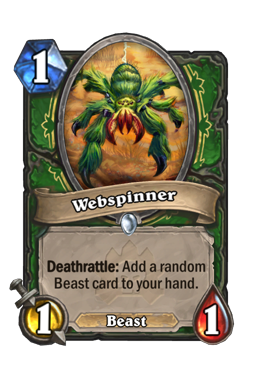 I need a slightly more "mid-range" feel to the deck, hence the addition of Webspinner s which are not typical of Face decks. 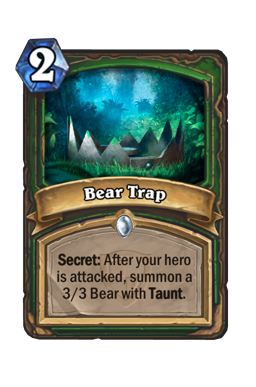 The Bear Trap reinforces the early game perception that I'm using a mid-range strategy, where the Bear is commonly paired with Freezing Trap . 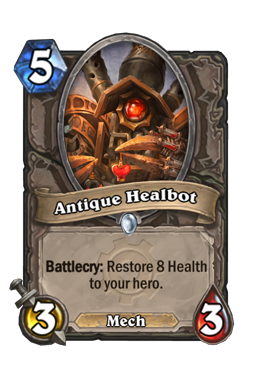 Confusion in the mind of the opponent allows one to "change gears" as the opponent nears the Hunter's long reach, and bursting an unsuspecting opponent down from 15 life or more is quite common; you know he's got the Healbot but he didn't think he needed it, and now it's too late. And of course, there's more. 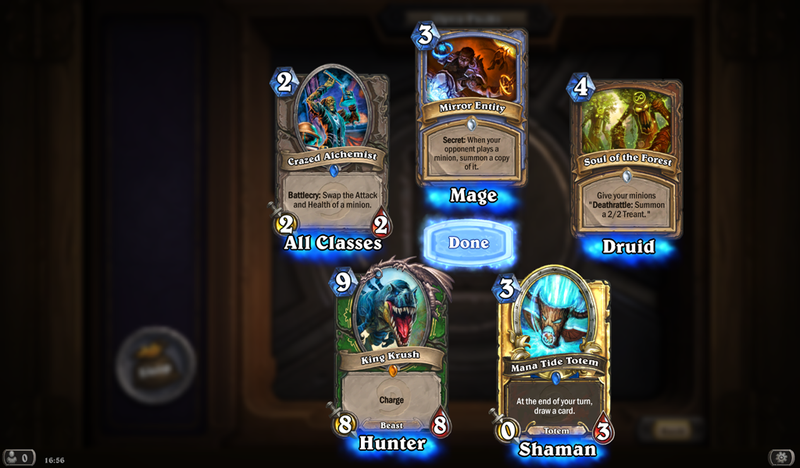 In the time between this article and the last I opened 17 Classic packs. 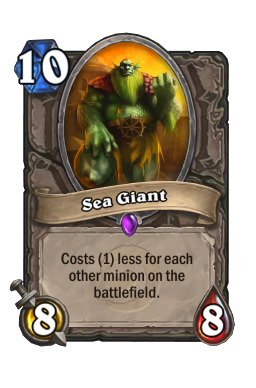 Highlights included: Golden Harvest Golem , Aldor Peacekeeper , Freezing Trap , Lay on Hands , the Arcane Golem mentioned above, Sea Giant , Coldlight Oracle , Dire Wolf Alpha , Armorsmith , Eviscerate , Brawl (obtained from the gold rewards from the 5 wins in Tavern Brawl quest, ironically), Shadowflame , SI:7 Agent , 2 Mana Tide Totem , Golden Silver Hand Knight . 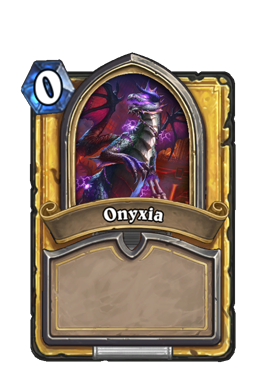 Oh, and another 400 dust potential in another Onyxia . Oh. And this: Surely not, indeed! 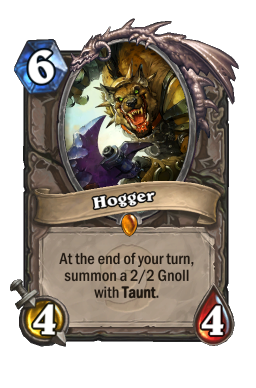 I promptly disenchanted these two legendary minions along with the Hogger that was now sitting idle in my collection having been made obsolete by crafting Sylvanas Windrunner a few weeks ago. The scrap from these 17 packs plus a few extras left over from my collection garnered me the other 400 dust needed, and I crafted Ysera . 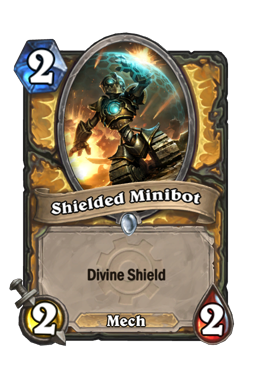 While I don't have an immediate use for the card due to a lack of many key cards of lower rarity that support control strategies, it can easily slot into my priest deck (especially if I revert to a "build-a-monster" style) as well as being a solid inclusion in Paladin. 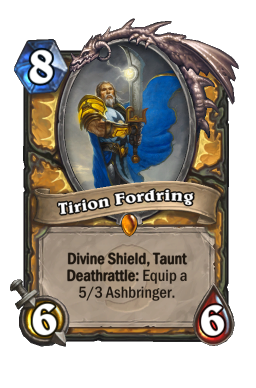 This craft, along with the Lay on Hands and the Aldor Peacekeeper mentioned above (my second), and combined with the previous crafting of a Shielded Minibot playset, paves the way to target Tirion Fordring and 2 Muster for Battle (GvG card) with my next 1800 dust. 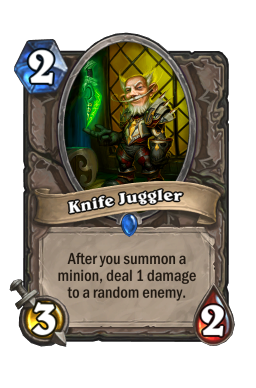 Hopefully those Knife Jugglers are not too far away... Look out control decks - here I come! As always, please feel free to comment or criticize below and thank you for your time.